Information: Arabs are a population inhabiting the Arab world. They primarily live in the Arab states in Western Asia, North Africa, the Horn of Africa, and western Indian Ocean islands. They also form a significant diaspora, with Arab communities established around the world. 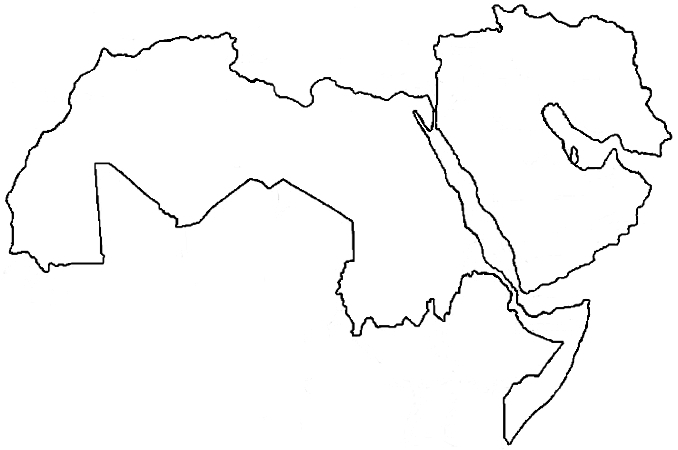 Arabs primarily inhabit the twenty-two Arab states within the Arab League: Algeria, Bahrain, Comoros, Djibouti, Egypt, Iraq, Jordan, Kuwait, Lebanon, Libya, Mauritania, Morocco, Oman, Palestine, Qatar, Saudi Arabia, Somalia, Sudan, Syria, Tunisia, United Arab Emirates, and Yemen. 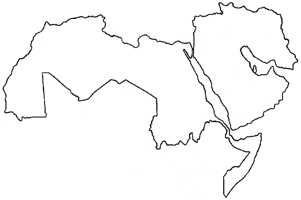 The Arab world stretches from the Atlantic Ocean in the west to the Arabian Sea in the east, and from the Mediterranean Sea in the north to the Horn of Africa and the Indian Ocean in the southeast. Beyond the boundaries of the League of Arab States, Arabs can also be found in the global diaspora. The ties that bind Arabs are ethnic, linguistic, cultural, historical, identical, nationalist, geographical, and political. The Arabs have their own customs, language, architecture, art, literature, music, dance, media, cuisine, dress, society, sports, and mythology. Arabs are a diverse group in terms of religious affiliations and practices. In the pre-Islamic era, most Arabs followed polytheistic religions. Some tribes had adopted Christianity or Judaism. Arab Muslims primarily belong to the Sunni, Shiite, Ibadi, and Alawite denominations. Arab Christians generally follow one of the Eastern Christian Churches, such as the Greek Orthodox or Greek Catholic churches. Other smaller minority religions are also followed, such as the Bahá'í Faith and Druze. Arabs have greatly influenced and contributed to diverse fields, notably the arts and architecture, language, philosophy, mythology, ethics, literature, politics, business, music, dance, cinema, medicine, science, and technology in the ancient and modern history. Arab people are generally known for their generosity and hospitality as well as their beliefs and family values. Religions: Arabs are mostly Muslims with a Sunni majority and a Shia minority, one exception being the Ibadis, who predominate in Oman.